Sangria is a fruity wine made from a dry red that is flavored with fresh fruits, liquors and other goodness. In my opinion, a good sangria has to sit for at least 6 hours before drinking. 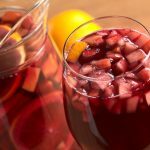 What makes my sangria so different from other sangria recipes? Well, IT’S THE BEST! Modesty isn’t one of my big points. 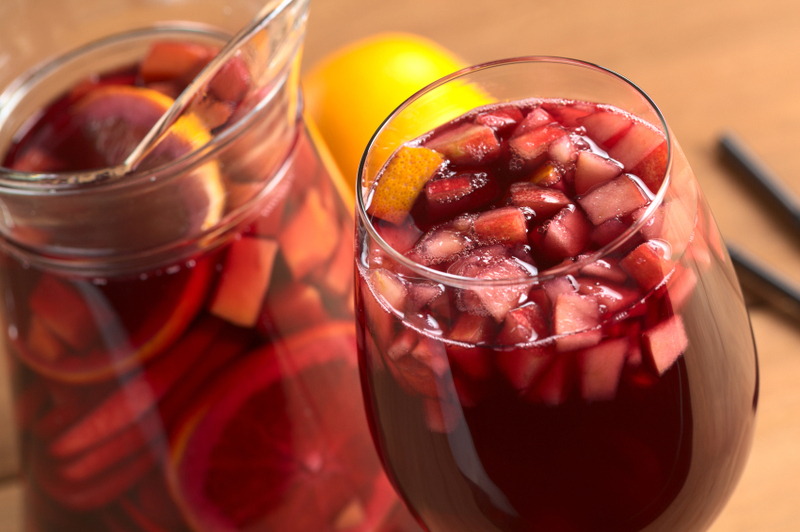 But really – Just about everyone loves my sangria…even people who don’t usually care for sangria. So-ready for my sangria recipe!?!?!? Well….here it is. any other fruit you may want, chopped up. Let is soak for at least 5 hours. Pour in a glass over ice, and top off with a splash of club soda.